Giving into cravings - what to do when it all goes wrong and you're feeling rubbish! In my closed group for my Kickstart clients, a lot of us seemed to give into temptation yesterday (including me!). Who knows why, maybe it was the heat! When you give into to temptation and have a naughty treat it is soooo easy to then fall into the ‘all or nothing’ trap. You figure you’ve already ruined your hard work so you just as well fail spectacularly. Then you feel absolutely rubbish for the rest of the day and and as a result often reach for more treats to try and make yourself feel better. It’s a slippery slope. We are only human. Trying to be focused and ‘on it’ 100% of the time is setting ourselves up for failure. It just isn’t realistic. Instead, accept that you won’t be perfect but in the long run, an occasional treat every now and then is not going to hurt. The only way it will hurt is if you let 1 treat turn in to 10 or one day become one week/ month, etc. Once you’ve realised that you can’t be perfect all the time, it is easier to allow yourself to have planned treats. Planned is better than just grabbing something when you feel like it because it means you actually look forward to it and savour it. If you just give into temptation then often you scoff it down super quickly because you feel guilty straight away…and if you eat quickly, it doesn’t count, right?! Plus, if you know you are allowing yourself a treat on a certain day (whatever it may be), then it means you are less likely to give into random cravings because you know you’ve got a treat coming. Cravings will hit when you least expect it…time of the month, adverts on TV, walking past a bakery, watching a friend pour a cold glass of wine. When cravings hit, they are strong and can feel hard to resist. Number 2 will help but when it doesn’t, try to give yourself a 10 minute time out. Tell yourself you can still have it in 10 minutes if you really want it but for that time, see if you can completely distract yourself. Go for a walk, make a cup of tea, put on some music. Anything. After 10 minutes, you’ll usually find the overwhelming need to eat/ drink something has decreased. It might still be there but it’ll be easier to fight. If you don’t buy it, you won’t eat it. Ridiculously simple but true! If you buy it and it is sat in cupboards/ fridge, there will be a time when you just can’t fight the cravings and you give in. If it isn’t there, by the time you’ve made the effort to go to shops, etc then the craving will have passed. Having kids makes this one harder. Obviously in an ideal world, we would only feed our children lovely organic healthy foods but realistically we all know that won’t be the case all the time. If you buy things for the kids, have a special cupboard or tin which is out of sight most of the time. It works well for them as well as you…if treats are in plain sight, they will get eaten quicker. Get used to thinking that the treats for the kids are out of bounds to you. It will slowly become habit. WHEN IT IS TOO LATE! Chances are your body will be feeling pretty crap at this point. You might experience a sugar high followed by a slump. If you then mentally beat yourself up and feel ridiculously guilty then you are just going to feel worse. Negative feelings will result in negative behaviour. Instead, accept that what’s done is done and think about how to turn your mood around. This will probably be the last thing you want to do if you eaten yourself into a sugar induced coma however it is one thing that will turn it round so quickly. Go for a walk, dance around to music, get outside into the fresh air. Get out of your head and into your body. It’ll stop you overthinking things AND it’ll help your digestion. One slip up won’t hurt. Several slip ups might cause your progress to slow down slightly. 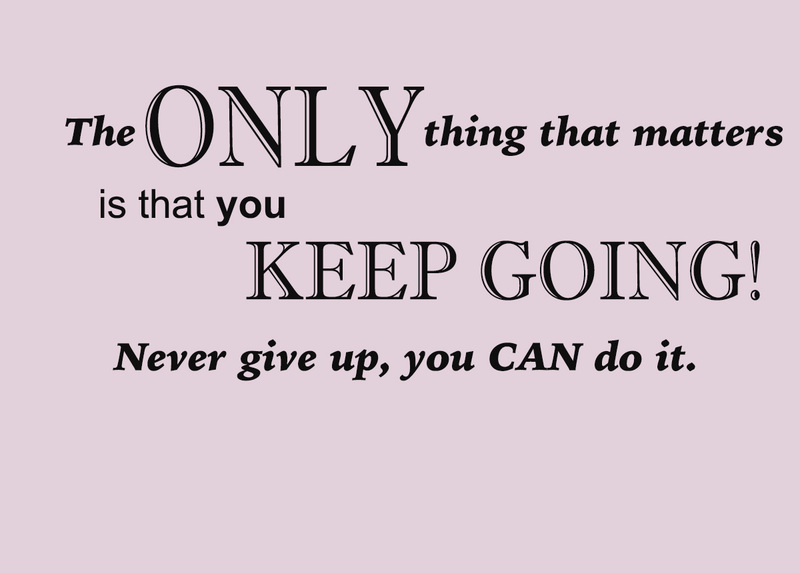 But the only thing that will stop you making any progress will be if you give up completely. Don’t think ‘oh I’ll start again tomorrow’ or the following week. Get back on the healthy train immediately! Aim to go to bed each night feeling positive…the day might not have been perfect but you will have done your best and that’s all anyone can ask. FINALLY, one of the most important ways to make permanent changes to health, diet and fitness is to have a SUPPORT NETWORK. My Kickstart Facebook group is amazing for this reason. We are all there for each other. When things go wrong, there is no judgement, just a group of women going through exactly the same struggles who are on hand to give advice 24/7.